A loan of $1,300 helped to purchase sand, cement, brick and equipment to build toilet. Mrs Hoa is 33 years old and she is married with 2 children. She is an ethnic minority living in Nong Cong district, a rural town in Thanh Hoa province, very far from the center. She speaks ethnic minority languages and rarely goes out of the village. So she has no opportunity to access to financial services. She has worked in agriculture, raising poultry for more than 10 years. Her family is a low-income household in the village, moreover the market need is low in this region. One of the most critical difficulties that concerns her is not having latrine . But her income is not enough to get a new one. She is requesting a loan to purchase sand, cement, brick and equipment to build toilet. This is Hoa's first loan with Thanh Hoa Microfinance Institution. Hoa hopes for her family to be healthy and happy, for her business to do well, and to make enough money to provide for her kids. It supports women from ethnic communities and single parent families. This loan helps ethnic communities and vulnerable groups living in the Thanh Hoa province. Vietnam is a multi-ethnic country with many distinct ethnic groups. Each group has its own language, lifestyle and cultural heritage. The vast majority of ethnic tribes live in the hilly areas of the north and central highlands and face obstacles in access to important resources such as education, capital, market and agricultural land. By supporting this loan you are helping vulnerable groups to increase their income and preserve their way of life. 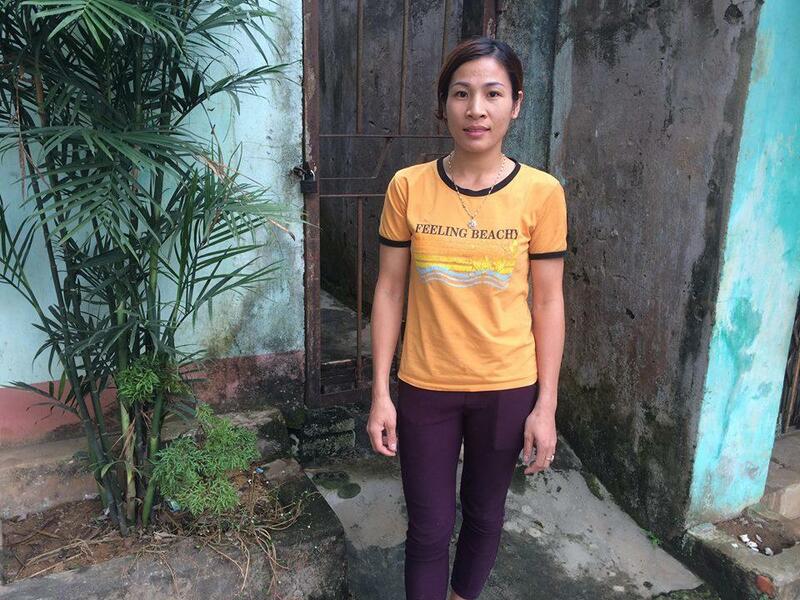 Thanh Hoa MFI works to provide credit to women and their families in the central Vietnamese province of Thanh Hoa, one of the poorest regions of the country. The institution's target clients are poor and low-income women who have the ability to work but lack the capital. Accordingly, Thanh Hoa MFI prioritizes single mothers, low-income women with children who have dropped out of primary school, and Viet Nam’s poorest women who cannot access any formal financial services. Kiva partners with Thanh Hoa MFI because they provide financial services to rural, low-income women who are economically productive but face major challenges. These women are either single parents, have children who have dropped out of primary school, or are among the poorest women in the country. Thanh Hoa province is one of the poorest provinces in Viet Nam, and Thanh Hoa MFI has successfully helped people increase their income and improve their living conditions. The program’s benefits have extended to the local community, including a decrease in children dropping out of primary school and families suffering from malnutrition.